A few weeks ago I had the opportunity to take part in a printmaking workshop run by the talented Helen Hallows. Since I got hooked into ceramics many years ago, I haven't really had much chance to delve into a different process just for the joy of it - with no expectation of outcome. It was liberating. It was through Design Nation, of which I am a member, that this opportunity arose. There were about 15 other makers/designers, all from different discipines who attended for a full day of experimenting with printmaking techniques including mono printing and stamp making from a variety of materials. For me, it was a wonderfully free environment to just experiment for a whole day with 2D surface design, something that I haven't done since my early art school days. 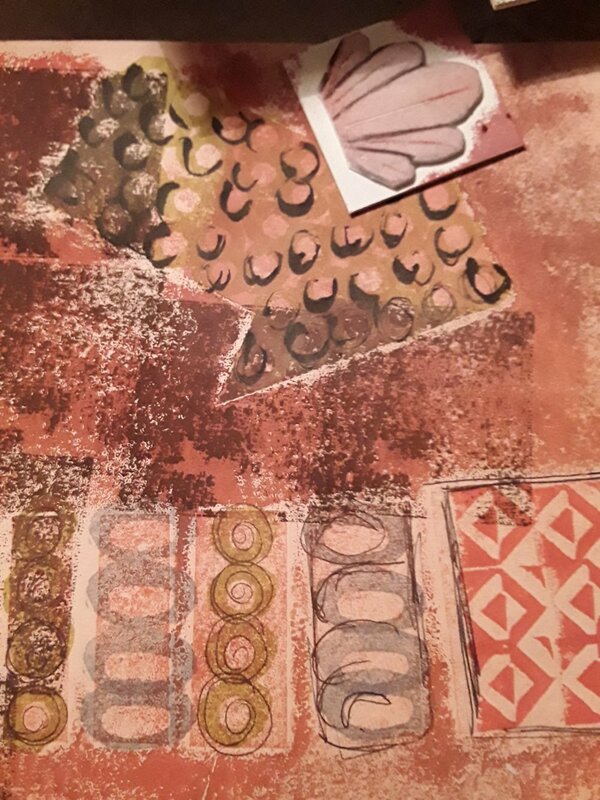 I loved playing around with layering colours and textures and experimenting with mark making in this different medium which is so immediate - quite a change from ceramics which has multiple firings to go through before you can assess the final outcome of your efforts. 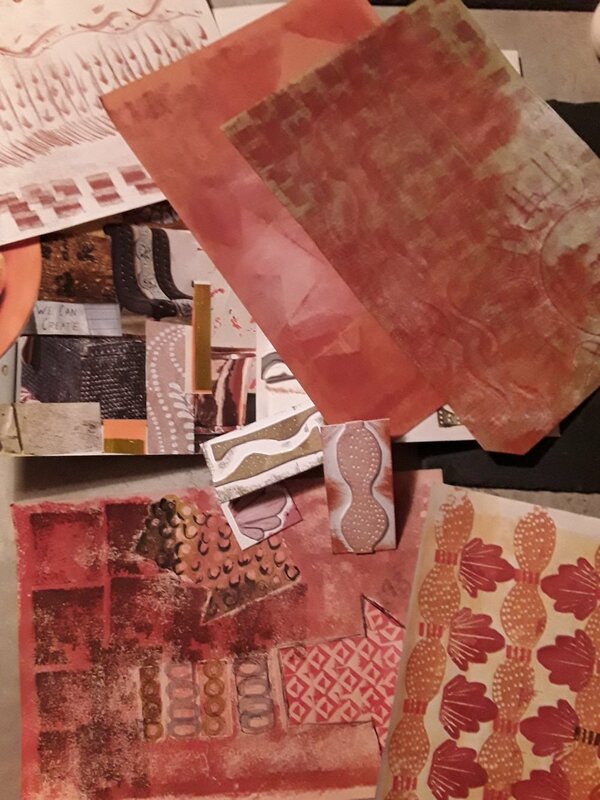 It was great to share this day in the company of other designer makers as we were able to chat and laugh while rollling out printing ink colours. As a one woman band, it is important for me to connect with others working in the creative arts in an environment where we can share knowledge, experiences or advice. It was a hugely valuable day and my results were varied. My best results of the day, in terms of printmaking happened when I stopped thinking about what I wanted and just went with the flow of the process. 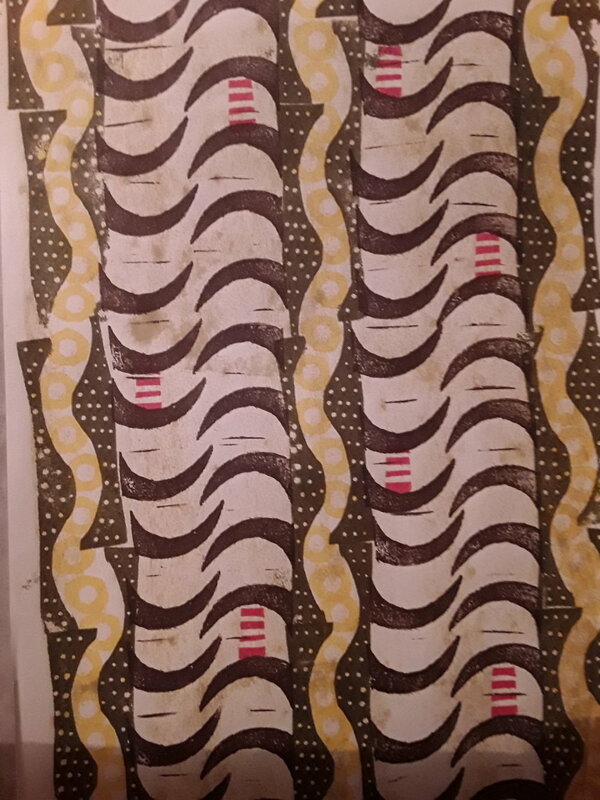 It seems I am an instinctive 1950's wallpaper designer!